Meat causes cancer according to scientific studies. IGF-1 and other compounds in meat create a great environment for cancer. Cooking meat produces cancer-causing HCA:s. Discover the reasons why meat causes cancer and why ditching it can save your life. Are Our Genes Causing Cancer? Is Paleo Another Atkins Diet? Is Grass-Fed Meat Better Than Factory Farmed Meat? How Much Protein Do We Need To Survive? Can You Get Complete Protein On A Vegan Diet? Meat and dairy are behind many diseases like cancer, heart disease, and diabetes. Our bodies are not built to eat meat. If you look back in history, few people ate meat. Only kings or pharaohs could afford it. And that is the reason why only kings were fat. Slaves and peasants were slim because they ate a more plant-based diet. Countries that eat more meat have a higher incidence of cancer compared to those who eat less. The longest living populations eat starch and vegetables and little meat. In Okinawa, they get about 80% of their calorie intake from starch. America has extreme incidents of cancer and eats a diet full of meat, dairy, and unhealthy oils. Meat is one of the greatest risk factors in getting cancer. So what are the reasons meat causes cancer? One major risk factor is something called IGF-1. Insulin-like Growth Factor One(IGF-1) is a cancer-promoting growth hormone. It is present in every stage of cancer growth. IGF-1 release in the body increases when we consume animal protein. Vegans have much lower circulating IGF-1 than meat eaters. Growth hormone given to cows gets into the milk. You then absorb the IGF-1 when you drink pasteurized milk. ​Find out why vegans have less cancer than meat eaters. Read more here. If you put people on a plant-based diet, their IGF-1 levels go down. Their levels drop even further if they continue the plant-based diet. Eating vegetarian do not seem to cut it. To get a real drop in IGF-1 one has to eliminate animal products altogether. Another reason meat raises the cancer risk is when you cook it. If you scrape off the grill marks of meat and send it to a lab, technicians will find HCA. HCA:s ​are part in many cancers. Animal protein by itself or the way we cook the meat may contribute to cancer development. One study of 1,600 people in North Carolina found that meat consumption raised the risk of colon cancer. The cancer risk varied with the cooking method. The worst way of preparing meat was pan fried and well done. This is likely due to the formation of HCA:s when you burn animal protein. Another large study examined postmenopausal women in Long Island. They found that barbecued and smoked meat increased the risk of breast cancer. In a 2011 study published in Toxicology, they exposed breast cancer cells to PhIP. The cells began dividing and invaded tissues and became more aggressive. This negative cancer effect doesn’t seem to occur when you cook fruits or vegetables. In vitro studies show that eating fruits and veggies can block PhIP effects. Another way meat and animal products raise the risk of cancer are through heme iron. We ingest two types of iron from food, heme iron, and non-heme iron. Animal foods are the only sources of heme iron. Evidence links heme iron to various cancers, including colorectal cancer. We do not know why heme iron contributes to cancer. One theory links heme iron consumption with the creation of unstable N-nitroso compounds. One EPIC study found that increased NOC leads to more risk of cancer. A 2003 randomized controlled trial fed people meat. They found that NOC levels in the stool increased after eating meat. When they fed them an equal amount of vegetable protein, their NOC levels were much lower. In this study, a supplementation with 8 milligrams of heme iron spiked NOC levels. But ferrous (nonheme) iron had no such effect. Eating more plants appear to reduce the effects of heme iron. But isn’t our genes the culprit? Some people might have better genes which protect them against cancer. But what happens when we take immigrants of a healthier diet on a Standard American Diet? Studies show a much lower incidence of prostate- and breast cancer in Asia compared to America. Cultures that have low rates of cancer seem to get it when they move to America. Asian groups in the United States develop breast cancer at the same rate as Americans. Breast cancer increases in Asian and African countries as they adopt Western diets. The Multiethnic Cohort Study followed 190,000 residents of Hawaii for seven years. They examined men and women of different ethnic backgrounds. These included people of African, Japanese, Latino, Native Hawaiian, and Caucasian origin. By the end of the study, 468 subjects had developed pancreatic cancer. Those who ate most meat were 50% more prone to developing pancreatic cancer than those who ate the least. The researchers believed that cooking increased its carcinogenic properties. To see the bad effect meat has on our health one has to look at the sad story of Robert Atkins. Dr. Robert Atkins was a cardiologist that created a low carb high fat diet. Carbohydrates are the sugars, starches, and fibers found in fruits, grains, and vegetables. According to Atkins, insulin is poison to the system. But one thing he missed is that protein, as well as carbs, causes insulin to rise. One in-depth study examined the insulin response to different kinds of food. They gave a group of volunteers equal calorie servings of 38 different foods. After that, they measured their insulin response through drawing blood. ​Read this blog post to learn the amazing health benefits of eating starches. Click here to learn more. The researchers found that protein-rich foods elicited a high insulin response. Some of the protein-rich foods had larger insulin responses than high carb food. While meat might not raise blood sugar, it still increases insulin. But how can people lose weight on an Atkins diet if they eat a lot of meat? There are several reasons for the dramatic weight loss on the Atkins diet. First, much of the weight loss comes from water. Sugar from carbs is the fuel every cell in our body needs for energy. As the body goes into starvation from not receiving its primary fuel, it reverts to using fats. Using fats is an inefficient process of extracting fuel from your body. This process produces chemicals called ketones. One side effect of ketone production is nausea, which makes you eat less. The second way the Atkins diet reduces our caloric intake is the lack of variety. People get so bored by this food that they eat less. Atkins suffered a heart attack in 2003 and died at the age of 72. A physician in Nebraska got Atkin's medical examiner’s report by mistake. The hospital sent it to him, even though he was not caring for Atkins. The report showed that Atkins had plaque in the vessels in his heart, which caused his heart attack. At the time of his death, he weighed 258 pounds(117 kg), which makes him obese at the height of six feet(183 cm). The Atkins diet then later reincarnated as the Paleo diet. So what is the Paleo diet and is it good for our health? ​Loren Cordain, Ph.D. spread the concept of a Paleo Diet. He wrote the book The Paleo Diet. Cordain examined what the Paleolithic humans ate. Common to all Paleo diets are an emphasis on meat and protein. Cordain is a big believer in meat. ​He has a set of forbidden fruits and other plant food. Most Paleo diets view legumes as the enemy. Many Paleo supporters now claim grass-fed beef is the answer. The Paleo diet is better than the Standard American Diet in some ways. They exclude sodas, donuts, cookies, white bread, and dairy. Because of this people feel so much better during the beginning phase of the Paleo diet. But the downfall of the Paleo diet is the high consumption of meat. Paleo leaders suggest that a plate should consist of 2/3 plants and one-third meat. But that plate isn’t very balanced, as meat has a much higher caloric density than fruits and vegetables. You could divide the thirds by weight, volume, or calories. Whatever method you use, the majority of the intake would come from meat. That’s why Paleo is the new and improved Atkins. Paleo people believe that eating grass-fed meat is the key to health. So let's examine if grass-fed meat is healthy. So it’s logical that grass-fed meat should be better. Many animals thrive on grass. When we feed them grains, it causes inflammations and bacteria growth. Archaeological studies analyzed the bones of our ancient ancestors. They never ate a single factory farmed animal. They found higher rates of cancer among those who ate more meat. And new studies point to the same conclusion. Meat, even grass-fed, clean-raised, organic meat is a carcinogen(causing cancer). Australian researchers compared the inflammation triggered by modern meat vs. wild kangaroo meat. They looked at three different inflammatory markers. These were tumor necrosis factor, interleukin 6, and C-reactive protein. Regular meat caused a huge spike in inflammation 1-2 hours after eating meat. The kangaroo meat also caused inflammation but not as much as store-bought meat. One study compared the meat of both captive and wild birds. They found more saturated fat in the tame birds. Saturated fat is one of the elements blamed for triggering inflammation. Wild animals seem to be the least unhealthy meat option. So while grass-fed meat is better than grain-fed meat, it still causes inflammation. But how well do populations fare on eating the bulk of their diets on grass-fed meat? The Maasai is a nomadic tribe inhabiting southern Kenya and northern Tanzania. They are cattle ranchers and eat lots of meat, including the organs, and big amounts of blood. Because of this, Cordain and others say that the Maasai are healthy and do not suffer heart disease like we do. The Maasai do not suffer heart attacks because they do not live long enough to experience one. They live only forty to fifty years, on average. The Maasai often die from infectious diseases. An autopsy study of fifty Maasai revealed as much heart disease as an elderly American man. The Inuits are another population that eats lots of meat. So how well did they do on a meat-heavy diet? Inuit refers to the original tribes of the Arctic, Canada, Greenland, and the United States. They are more known as Eskimos. They live in a frigid climate and depend on large amounts of seafood, blubber, and fat. While they eat a lot of fat, they get fewer than 9% of their calories from saturated fat. By comparison, most Western diets consist of about 15% saturated fat. The Inuit also consume far more omega-3 fatty acid. When they do eat meat, it is caribou that grazes on grass. Their total omega-3 intake is upwards of 14 grams, compared to 3 grams in Holland and 0.2 grams in America. The rest of their diet consist of wild berries, kelp, flowers and nuts when available. Inuits are not healthy at all and suffer from many chronic diseases. They live, on average, ten years less than Canadians. They have the worst longevity of all populations in North America. The best way to protect yourself from cancer is to ditch meat now! Michael Greger, M.D gave a speech called "Uprooting the Leading Causes of Death." In his talk, he addressed the 13 most common ways we die. According to Greger, the incidence of all cancers combined is lower among vegetarians. A vegan diet slows down the fastest growing tumors like lymphomas and leukemias. In his speech, Greger also talked about a study where they put people on different diets. They then drew their blood and dripped it on cancer cells growing in a petri dish. After that, they stood back to see whose blood was better at suppressing cancer growth. Blood from those on the standard American diet slowed the cancer growth rate down about 9%. The blood from the vegans had 8 times the stopping power when it comes to cancer cell growth. The same researchers tried duplicating the study on women with breast cancer. They wanted to know what a vegan diet could do against three types of breast cancer. This time they tried the experiment for two weeks instead of one year. ​Discover ​why cancer can't survive in an alkaline body. Read this blog post to learn more. After 12 days they took blood from those same women and dripped on cancer cells. So what happened? Their bodies cleaned up! A vegan diet slowed down the breast cancer cells in only two weeks. Greger later talked about whether exercise or our diet can fight cancer better. One experiment had some people eat a Standard American Diet and not exercise. Another group ate meat and trained hard every day. The third group was plant-eaters that did not exercise that much. Exercise helped against cancer but 5,000 hours in the gym, was no match for a plant-based diet. The control group did fight cancer too, but it was no match for the exercise group or plant eaters. To illustrate the power of a vegan diet to fight cancer, let me share Jessica’s inspiring cancer story. Jessica Bowen got diagnosed with stage 3 breast cancer in 2011. See her amazing cancer story by watching this video. Okay so a vegan diet seems to be a smart thing to do. But can you get enough protein on a vegan diet? Many still believe in the big protein myth. Let me address the big misconceptions of protein once and for all. If you ask people what they believe is the most important thing to get in their diet, most people would say protein. People think they need way more protein than they do. So they eat lots of animal products to get all that protein. Protein is essential in our diet, but how much do we need per day? And can we get it if we stop eating meat? The US government recommends 0.8 grams of protein per kilogram of lean body mass per day. United Nations’ World Health Organization recommends 0.66 grams. The WHO number is closer to your true needs as The US government uses a more inflated number. You can use a calculator on www.﻿proteinaholic.com/calculator/﻿﻿﻿ to find out how much protein you need. As you can see by using the calculator your need for protein is much less than you believe. Eating a vegan diet is the safest way to get protein. Protein is present in most food. Becoming protein deficient on a vegan diet is impossible as long as you don’t starve yourself. Lentils and beans contain lots of protein, and you can get all your needs from plants. There is one protein myth that is still circulating. The belief that plants don't contain complete protein. Let me debunk this myth right now. Many believe that plants don't contain complete protein and need right food combinations. But that is a myth. This myth started when Frances Moore Lappé wrote the book "Diet for a Small Planet." It was a book that convinced many readers to become vegetarian. Lappé worked as a sociologist on world hunger issues. She promoted the idea of combining protein. Frances believed, unlike animal proteins that plant proteins are incomplete. She wrote that plants need right combinations to prevent protein deficiencies. In later editions of the book, Lappé retracted this statement. There you can measure the nutrient content of thousands of foods. Find vegan recipes and add them to the site. You will see that you will get more than enough of protein on a vegan diet. I hope you enjoyed this blog post and found out why meat is bad for you. Let’s summarize what we learned and then find out how to eat a healthy vegan diet for cancer. Meat causes cancer. Elevated numbers of LGF1, HCA and Heme irons in meat raises the risk of cancer. Grass-fed meat still causes spikes in inflammation and health problems. You can get all your protein needs on a plant-based diet. Becoming vegan is one of the best ways you can do to protect yourself from cancer. So let's take some action and get you of meat today! So you now know that meat causes cancer. If you want to stop eating meat, then please join our free 12 Day Vegan Cancer Challenge. Click here to sign up. 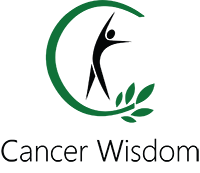 The 12 Day Vegan Cancer Challenge is a free email course where you learn how to eat a healthy vegan diet for cancer. I have taken away all the guesswork for you and explain how to try a vegan diet for 12 days. You receive a free recipe book and much more by joining the challenge today. Take charge of your health now and stop feeding you cancer with meat.